A third death has been linked to the homeless encampment along Hiawatha Avenue in Minneapolis. The Hennepin County Medical Examiner said Pamela Rivera, 51, died early Sunday morning. James Cross, founder of outreach group Natives Against Heroin, said Rivera was found unconscious in her tent. Cross says multiple doses of the anti-overdose drug Narcan were administered but she did not regain consciousness. Cross said group members tore down the tent of the people they believe sold drugs. "The next day we came out here and listened to the community, where the dope was being pushed from and just pulled the tents right off the ground and told them to go," Cross said. 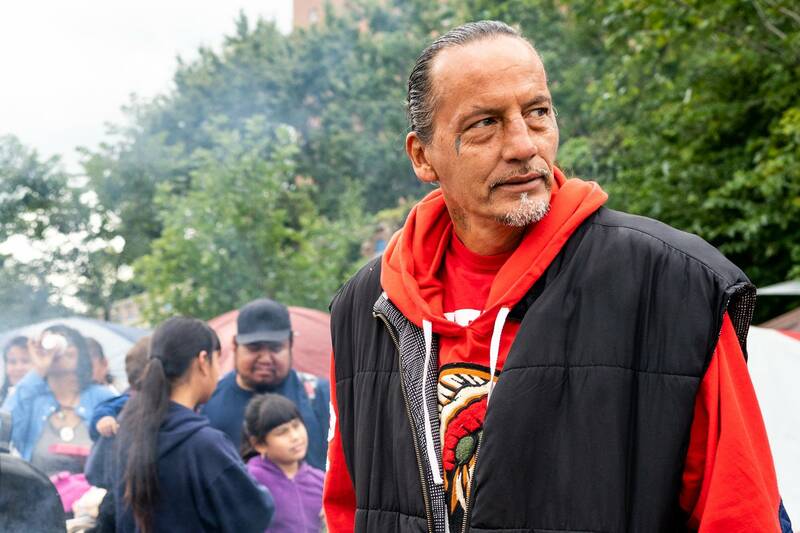 MPR News spoke with Rivera Aug. 8 following a visit to the Minneapolis camp by Mayor Jacob Frey and Police Chief Medaria Arrodondo. Rivera said she had been homeless for about four years and suffered from diabetes. During the interview, she complained of feeling faint and appeared to be losing consciousness. A reporter called 911 and waited with her until an ambulance crew arrived. Rivera was a member of the White Earth Nation, according to Cross. He says she will be honored at the encampment with a traditional ceremony including a fire to burn for four days. Cross said her funeral will be held on the White Earth Reservation.